BRIAN CODY HAS named Ger Aylward in the Kilkenny starting 15 to face Wexford in Sunday’s Allianz Hurling League Division 1A encounter. Aylward shot to prominence in his debut campaign for the Cats in 2015, scoring 3-5 on his championship debut against the Model county. He finished that campaign with All-Ireland and All-Star honours, but missed 2016 with a torn cruciate, while he failed to find his best form on his return to the Black and Amber last season. It’ll be his first appearance for the county since he came off the bench in their defeat to Waterford last July. He has struggled with shoulder, back & hamstring injuries so far in 2018, but replaces Luke Scanlon in the attack on Sunday. Padraig Walsh, Conor Delaney and John Donnelly missed the win over Tipperary due to college commitments, but they return to the team in place of Conor O’Shea, Conor Browne and Liam Blanchfield. 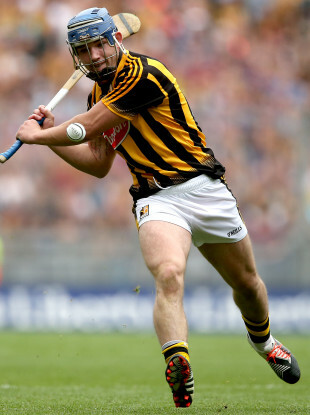 Email “2015 All-Star makes first start of the season as Kilkenny name strong side for Wexford”. Feedback on “2015 All-Star makes first start of the season as Kilkenny name strong side for Wexford”.